For the last week or so I have been asking people to send in questions they want answered! I took the top 3: What to do to get ready for spring/summer, How to live minimally, and How Raw Foods Heal the Body. Salt is one of the most important substances we can put in our bodies yet it is the incredibly feared by some and greatly abused by others. It plays a major role in how our body functions, especially when it comes to cellular communication. You do have to be careful… there are different kinds of salt: The good salt, and the bad salt. Table salt is incredibly processed and should be the salt you fear. It is 97.5% Sodium Chloride and 2.5% chemicals. This is incredibly UN NATURAL! 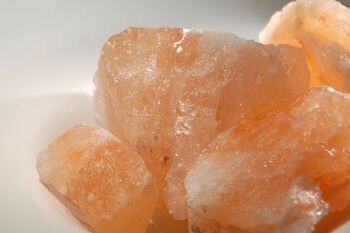 It is also dried at temperatures over 1200 degrees, altering the natural chemical structure of the salt. The average person consumes 4,000-10,000mg of this horrible salt per day! 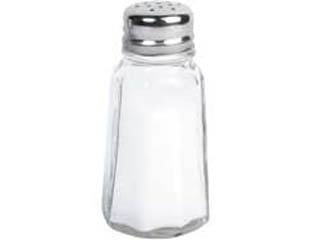 When sodium chloride enters the body your cells need to break it down in order to neutralize it. In order for this to happen water molecules must surround it. The water is stolen from your cells resulting in cell death. For every gram of sodium chloride that your body can’t get rid of it must use 23x the amount of cell water in order to get rid of it. It also will cause water to store in your tissues which causes cellulite, arthritis, gout, kidney stones, and gall stones. It also promotes edema, obesity, hypertension, coronary heart disease, myocardial infarction, angina pectoris, stroke, congestive heart failure, kidney failure, PMS, and manic-depression. Americans are incredibly addicted to sodium chloride and it is causing major problems with the health of our country. Salt is actually a mineral. When it is unprocessed and in its natural state that is how the body recognizes it. 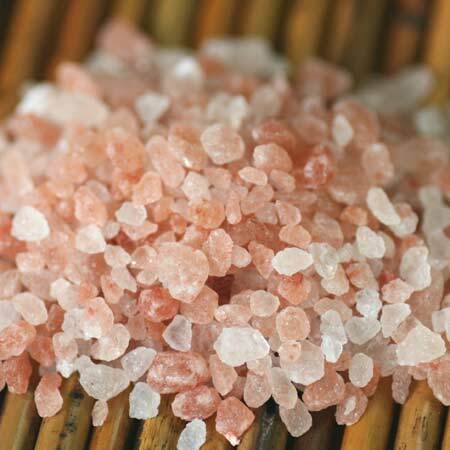 Mineral salt is used in all cellular communication and is important especially when it comes to hormone communication. Salt without water will not work, and water without salt will not work. They are both needed for each other. Your cells and body relies on these two substances in order to have complete communication and function. Where minerals go water goes—sprinkling a pinch of salt in your water will actually make your water more hydrating to your body by actually driving the water into your cells. USE THE RIGHT SALT! I cannot stress this enough! Stay away from the bad salt and load up on the good salt! We need salt for communication and proper bodily function. If you are not putting in the good salt and you are putting in the bad salt, the body will have to grab the bad salt and try to use that, and this is when all of the problems start. Try adding a pinch of rock salt to your water during the day and see how much better you feel! I guarantee you will feel more energized and more hydrated!